Visa and the National Football League have teamed up to help teach financial concepts with Financial Football, a fast-paced, interactive game that engages students while teaching them money management skills. 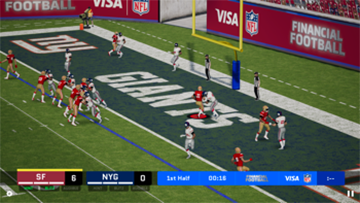 The fall 2018 release features new 3D graphics and game changing opportunities with audibles, blitzes and game breaking plays. Are you ready for the new game? One indicator of being a victim of identity theft is that your credit report shows unfamiliar activity. Learning about money is fun. the essentials of personal money management.